US stocks were once again very choppy in early trading on Wall Street with the indices initially diving, but then rallying into the close as volatility levels somewhat subsided. The VIX – after staging the biggest one day jump in history (and including the GFC) – fluctuated between 20 and 32. Yesterday was a day of panic for many as investors were jolted out of complacency following a record run of low volatility over 400 trading days. We knew the correction was coming, and as we foreshadowed at the beginning of the year – our prediction was of between 5% and 10% in magnitude, but of course we did not know exactly when or how quickly it would all unfold. Yesterday, the markets revealed its cards. We still can’t be one hundred percent certain that the correction is over, but I can have a stab and give it my best go. I think the correction which began last week is now much closer to the end than the beginning, and indeed, we may well have seen the climax yesterday. Many stock markets – and I will discuss a few of the main indices today – bounced convincingly off major support levels. 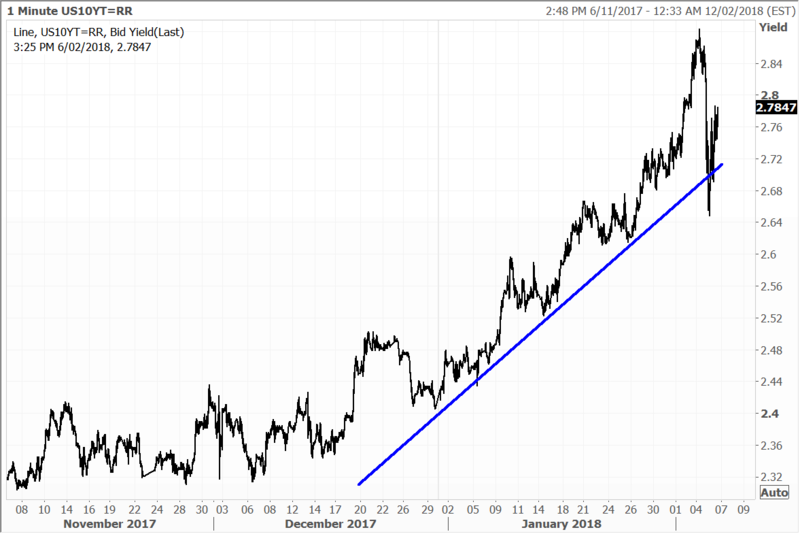 The Nikkei for example tested its breakout level (established last year when it cleared major historical resistance that capped Japanese stocks for nearly four decades) and held convincingly – see below. I believe that for Japan, this sets the stage for consolidation, before the resumption of the upward trend, driven by significantly improved fundamentals and a resurgence in the economy. We have a significant amount invested in Japan, so I am leading with this market today, and note that despite yesterday’s sharp selloff, the last place to find a bear market is immediately after one, that endured for multiple decades, has just ended. I have conviction about this theory and hold the view that any weakness will prove ephemeral as the underlying economy improves and takes on a new shape. I was surprised at yesterday’s reaction in Japan being relatively larger than Korea, India and China (but smaller than Hong Kong), especially given that global investors remain very underweight. However the good news is that the historical breakout in Japanese stocks last year was tested “vociferously” yesterday and “the line held”. In previous selloffs, Japan was typically one of the first markets to fall in on itself given the little confidence investors had in the economy. 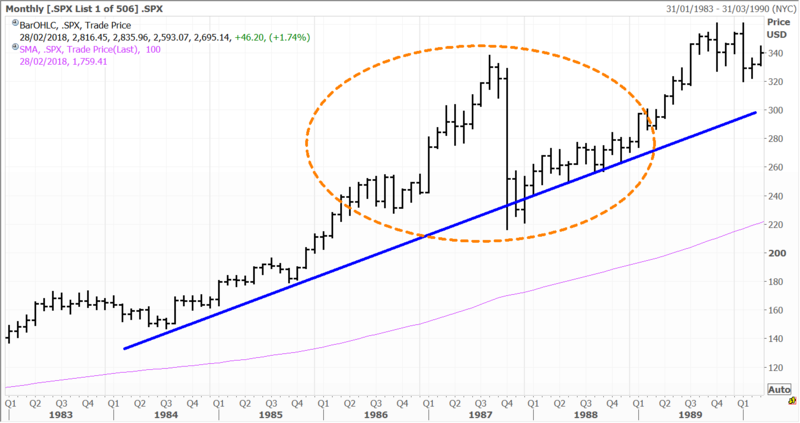 I see yesterday as being an important test for Japan’s stock market and it was significant that the Nikkei bounced off key support at around 21000 – which was once a major resistance level that defined the top of the market for nearly four decades. Needless to say, for Japan to surmount the 21000 level was no mean feat last year. Back to the US, gold prices eased (precious metal stocks still outperformed) as bond yields settled despite growing tensions around the potential for more aggressive rate hikes. Rising bond yields last week was the catalyst that sparked yesterday’s rout, but the truth of the matter is that it could have been anything. What’s important is that markets have corrected, and corrected sharply, and this is a good thing because equities were elevated and in the danger zone. 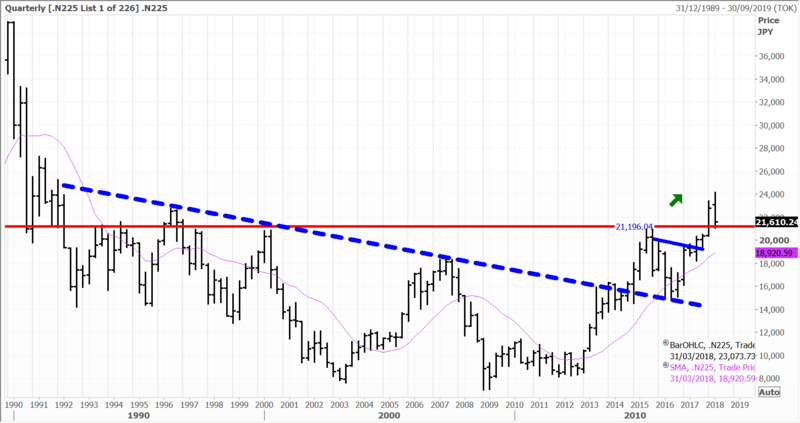 The recent weakness removes a lot of the “hot air” and in our view, has thrown up some relative bargain opportunities. With the global economy led by the US in fundamentally strong shape, yesterday’s “flash crash” was more reminiscent of 1987 and 1998, and I don’t think we are ready for a major bear market just yet, but rather an adjustment downwards before the next upward advance. Back to the future – There were a number of catalysts that triggered the 1987 Crash on Wall Street, but two of the main flashpoints were the Fed’s lifting of the discount rate above 7% and a collective rush by institutional investors and hedge funds to lay off market risk and hedge via futures. I think there are overtones of what happened yesterday. Within a matter of months Wall Street had recovered as the “bull market’ reasserted itself. Although it is hard to pinpoint an exact percentage of how much trading on the S&P 500 is driven by algorithmic programs these days, it is thought to be as much as half and this tends to really push the markets on the downside in the short-term. But algorithms’ are only as good as the ”humans” who write the code are, and therein lays the great flaw, particularly as they become commonplace and mimic crowd like behaviour. As we head towards the close (I begin my note around 530am) the S&P500 and Dow Jones had risen by around 1.6%. The S&P materials index was leading the way to the upside with a 1.2% gain, while at the other end of the spectrum, utilities (often considered bond proxies) were faring worst, with a 2.2% slide. US Treasury prices remained volatile, while the greenback (US$) rose to its highest level against a basket of currencies in more than a week. 10 Year T Bond yields tested their breakout level on the downside yesterday, as investors flocked to Treasuries to find a “safe harbour”. As I wrote last week, T bond yields are headed definitively higher this year, but the stock market should acclimatise to higher rates this year, given that settings are still very low by historical standards. Next year however could be a different story. 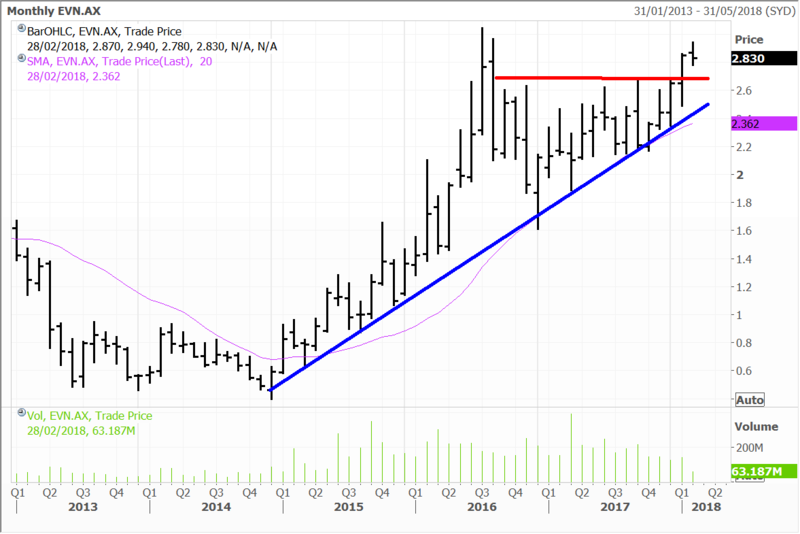 We have highlighted a number of stocks and sectors that could outperform in our scenario for this year of a higher interest and inflationary environment. 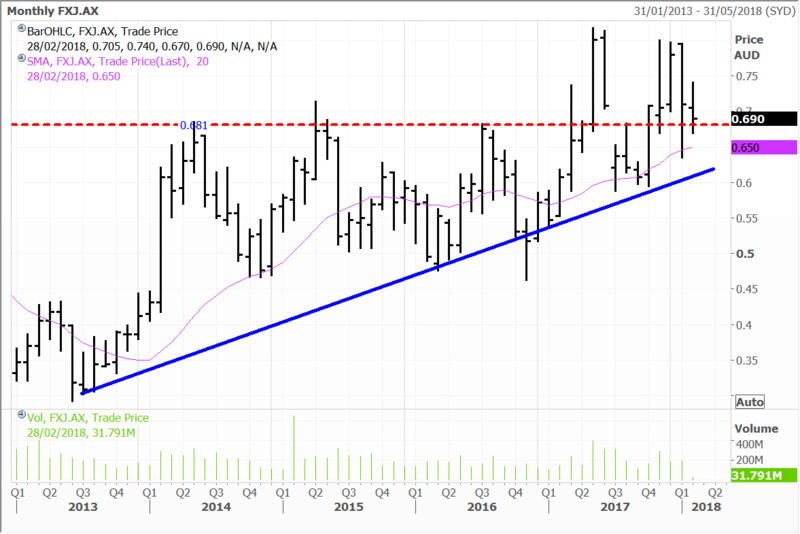 We expect gold to do well, and one of our favoured stocks Evolution (covered in the webinar) put in a notable performance yesterday. The stock finished slightly lower after being higher for much of the session. Fairfax and Domain were both around 3% lower yesterday, but notably, despite the market volatility, have not gone back to the lows seen in the wake of Anthony Catalano’s departure. On that note it seems there was more to the resignation than meets the eye, with media articles suggesting that he led a ‘boys club’ at the company. In any event I continue to believe that the underlying thematic at Domain (and Fairfax) remains in play. It also seems like the story is not over just yet with respect to the merger between Fairfax’s kiwi business and NZME across the Tasman. The two companies confirmed yesterday that they are appealing a High Court ruling which has blocked the deal. The argument is that the transaction will help ‘preserve local journalism.’ I continue to believe that it is a gross overweight to not acknowledge that the media landscape has changed, and traditional companies need to evolve and react to survive. Disclosure: The Fat Prophets Global Contrarian Fund declares a holding in: Evolution, Fairfax and Domain.